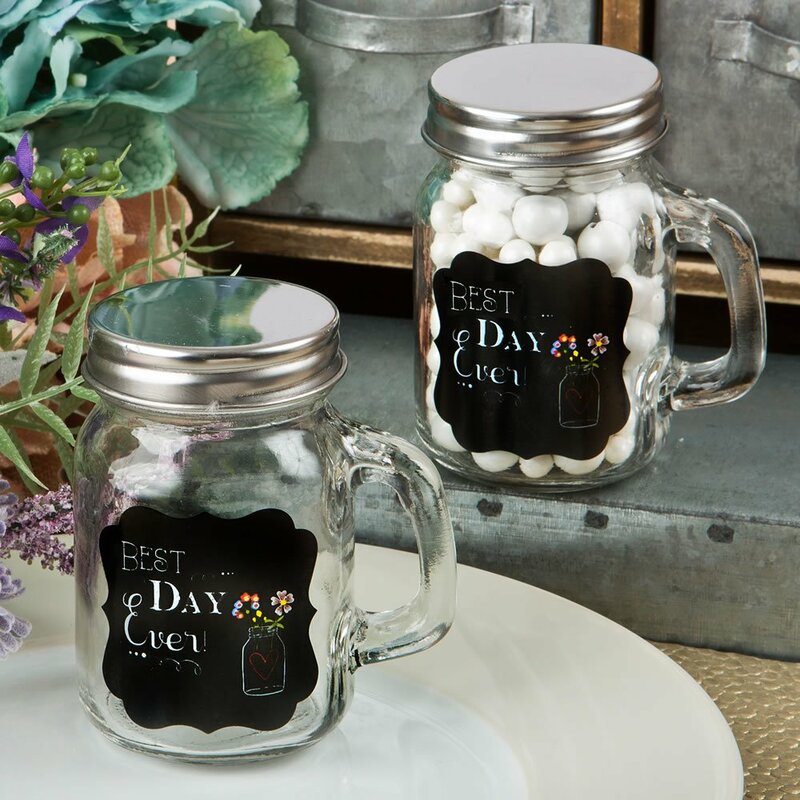 Add the perfect finishing touch to your event tables with 'Best Day Ever' glass mason jars filled with treats of your choice. Our quality glass mason jars make delightful favors for any number of occasions. The jar is made from clear glass and has a handle on the side. Fired permanently onto the side of the jar is a black board inspired design in a plaque shape. The black board features the words 'Best Day Ever' in white lettering. A classic mason jar with a heart accent and filled with a colorful floral bouquet adds a rustic finish. The jars are dishwasher safe and close with a silver screw top. Get creative and fill the bottles with handmade candies, small trinkets or a special drink. Send your guests home with a favor that is sure to impress!